1Pour hot coffee into decorative glass mug. Add chocolate liqueur. 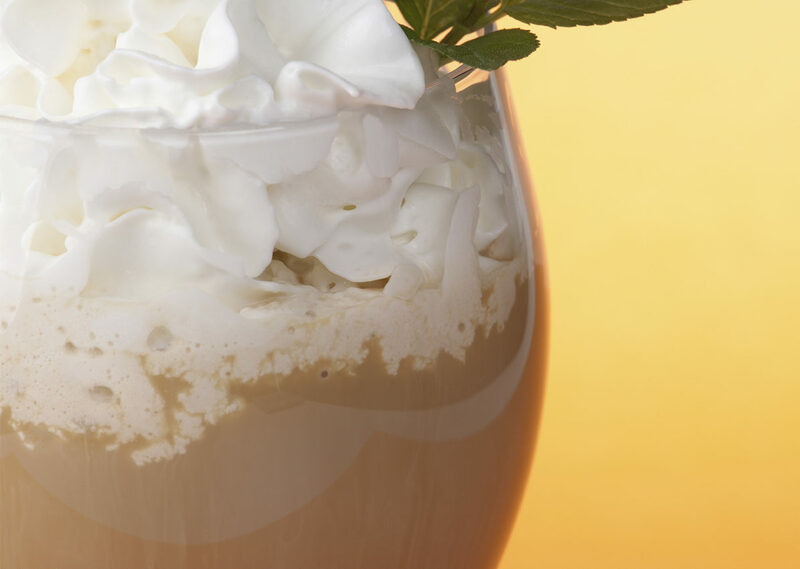 Top with Mint-kissed Whipped Cream (see recipe). Garnish with chocolate mint cookie, fresh mint sprig, or both.